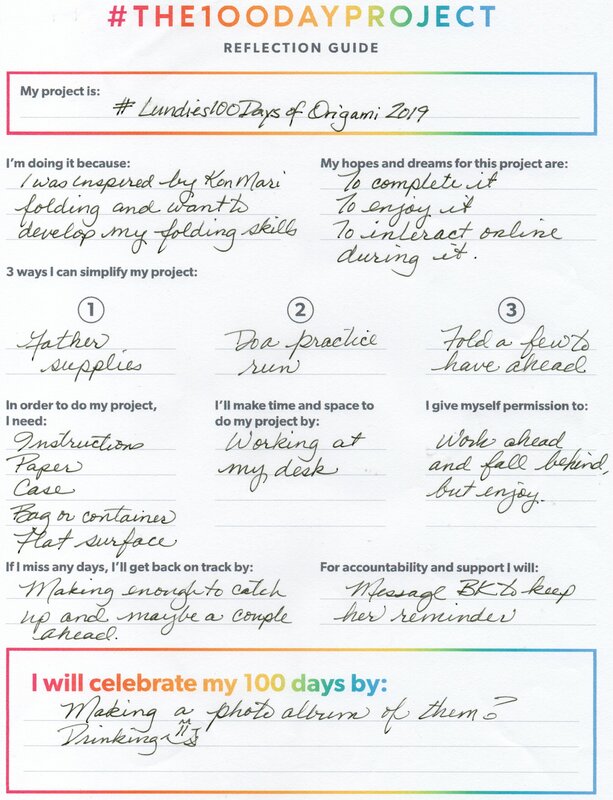 Finally landed on my project plans for this year’s #The100DaysProject. Combination of creative and guided. Ties into other areas of my life. Skill I want to develop mentally. Organized. Glad I can finally take this off my to do list! It’s been posted on my cork board nagging at me for days now, I just refused to rush into anything just to be “settled”. I’ve ordered my supplies: A couple of books, a block of paper, a case for the paper. I’ll probably use one of my office bags to keep it all in so it’s easy to grab and go. There were a number of different books to choose from, but I started with something light and once i get a feel for the process, I’ll see if I need to expand. I’m looking forward to this project. I really want to enjoy it, not struggle with it too badly. Folding clothes has become a meditation, and I’m hoping for this process to be meditative as well.